Kili chez nous offers you the joy of being on top of the mountain with the flexibility to pick and choose the dates and hikes that suit YOUR schedule. You have the option of participating in as few or as many of the hikes as you wish. 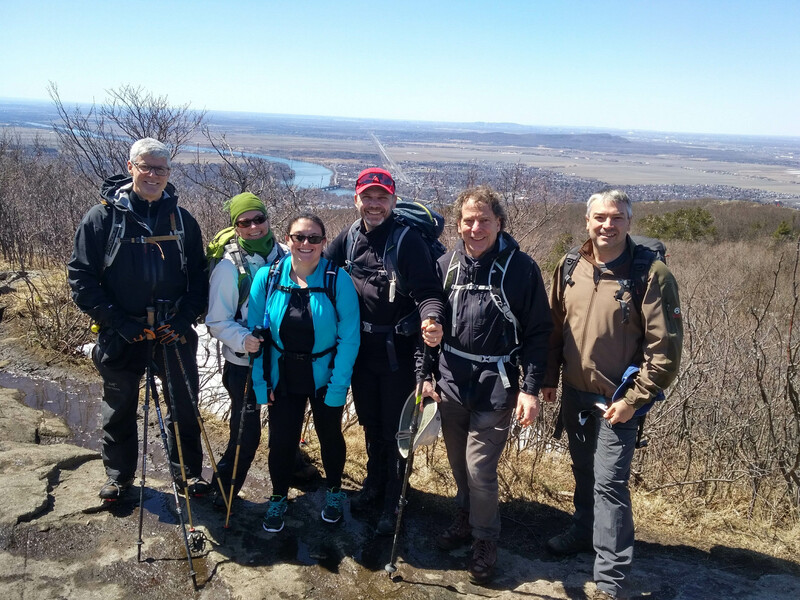 With varying levels of difficulty and a variety of locations, our carefully selected hikes were chosen not just for hiking enthusiasts, but for individuals and families who love the outdoors. All you need is the motivation to help us boot out cancer! All of our hikes will last anywhere from 1.5 to 4 hours each, and will appeal to novices and experienced hikers alike. Your safety will be paramount, with first aid available on every trail. The reward is knowing that you are helping cancer patients with each step you take. 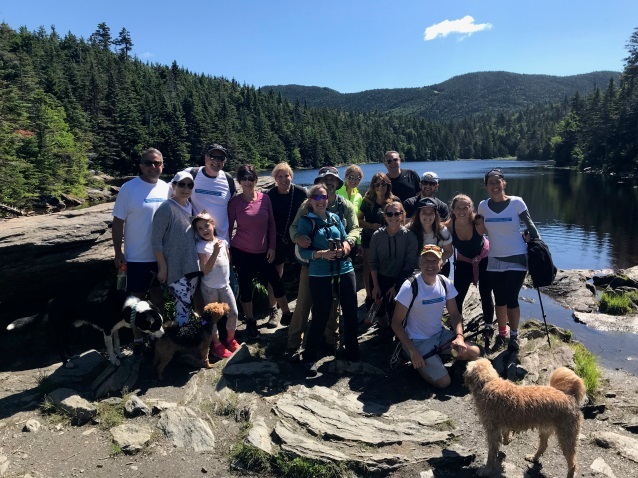 Mark these dates in your calendar, create your personal page and start fundraising to support the many psychosocial support programs for patients and caregivers offered at Hope & Cope! 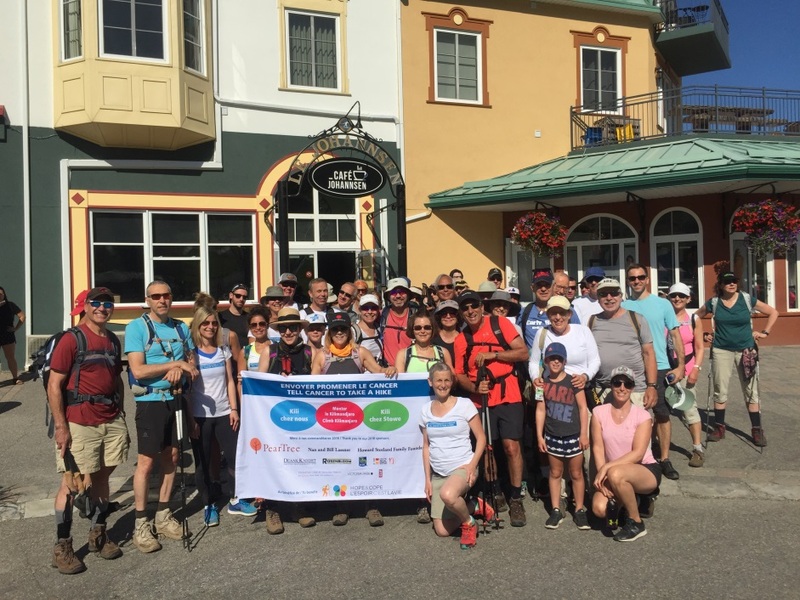 Your participation at each hike will raise funds to help transform lives at every stage of cancer. GREEN TEAM: No experience, occasional hiker or new to hiking. The occasional hiker will have a lack of knowledge about different terrains, elevation and altitude of hikes. Don’t hike regularly but maybe active in other exercises or cardio workouts: dance, walk, bike, tennis, or other sports. They enjoy nature for a few hours at a slow to moderate pace, but may have to take breaks more frequently as the distance or elevation of the hike increases. Hikers prefer hills with small up and down inclines. Distance is from 3-5 miles and elevation is from 500-1000ft vertical gain. Recommended for all ages - Family friendly. 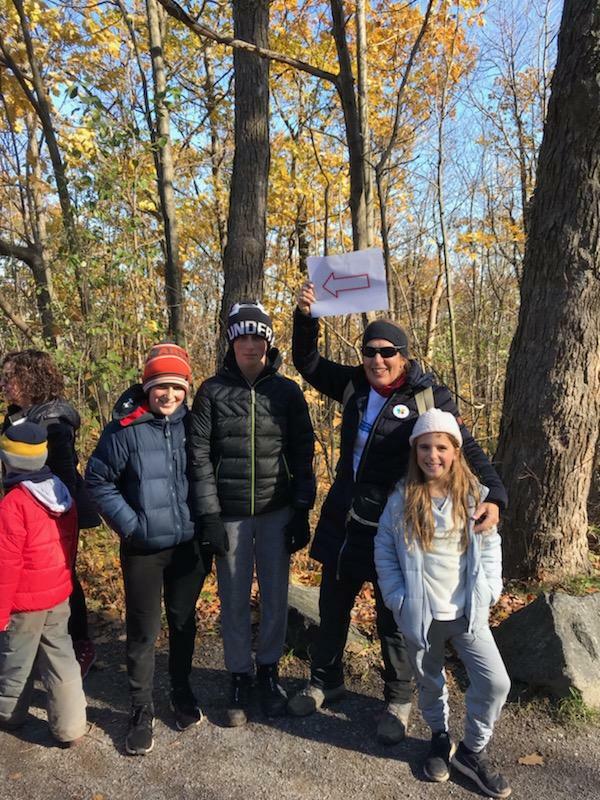 BLUE TEAM: Hike on a more regular basis and know some different terrains and weather conditions; the pace is moderate to moderate fast and able to handle longer inclines without feeling exhausted. Endurance and Stamina required. Elevation at least 500ft gain up to 1500ft gain and distance can be from 5-8 miles in 2-3 hours. Recommended for adults or older children. BLACK TEAM: It’s for an experienced hiker who enjoys the technical challenge, the cardio workout, and hikes in different weather conditions. Other levels have difficulty catching up with you. The hiker will know when to hike at a fast pace, at a slow pace to conserve energy, and when to rest. He/she can hike big distances of up to 10 miles or more with big elevation gain of more than 2,000ft. Hikes can last all day. Recommended for adults. Trails options will appeal to all tastes and fitness levels from easy to intermediate to expert. Choose your challenge! Mark this date in your calendar, create your personal page and start fundraising! If you are looking for a life-changing journey, look no further! Climbing Mount Kilimanjaro promises to be a once-in-a-lifetime experience. WHO WILL BENEFIT FROM THE EXPERIENCE BEYOND YOU AND YOUR TEAM? Cancer patients and survivors who count on your support to sustain the innovative services offered at Hope & Cope will be the primary beneficiaries of your commitment and generosity. 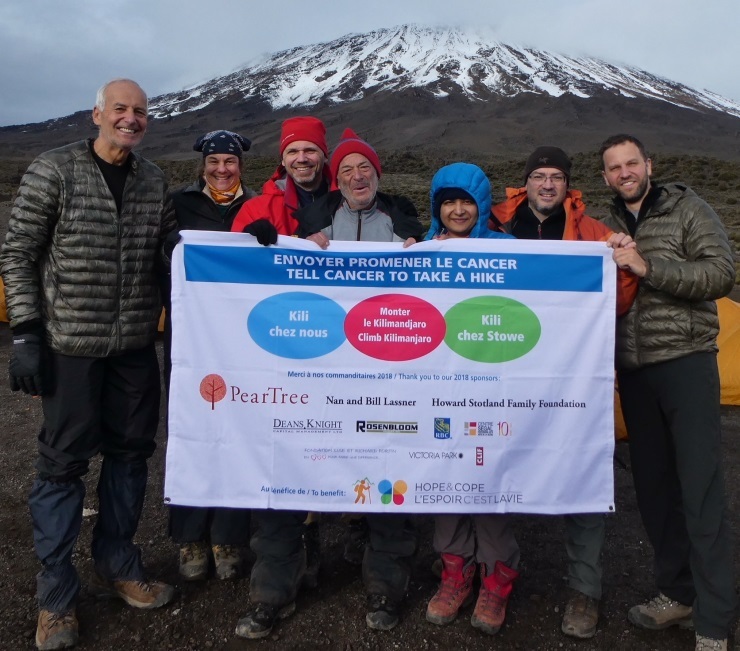 We are travelling to Africa, going half-way around the world to “Tell Cancer to Take a Hike” and WE need YOUR HELP to make this journey a success. WHAT CAN YOU EXPECT ON MOUNT KILIMANJARO? Kilimanjaro is not only the highest free-standing mountain in Africa, but in the world, known as one of the coveted “Seven Summits. Over a period of 10 days, YOU will be traversing the mountain over 65 kilometers, ascending and descending a total of 19,341 feet over the African savanna. The Lemosho Route offers spectacular views and the longer trek allows climbers to acclimatize to the higher altitude. This route is less crowded, making it easier to reach the summit. In fact, you have a 90% chance of reaching the top, making it more rewarding. Best practice is to go slowly and allow your metabolism to adapt to the lower air pressure and the thinner air. The varied terrain throughout the climb passes through cultivated farmland, equatorial rainforest, desert and alpine heath, to the glaciated summit. The paths are in good condition and well-trodden, some steeper than others. The climb is not technical – there are no precipitous drops along the way, no rock climbing or specialist equipment required. The trails were designed to improve acclimatization for the climber by incorporating longer distances, longer times on the mountain and shorter elevation gains. Kilimanjaro is entirely a walk-up mountain. As long as you can put one foot in front of the other, and are in decent physical shape, you can climb Mount Kilimanjaro! You will be outdoors constantly and living in tents so camping experience is an asset. You will climb 4-8 hours a day, except for the last day, when the push to the summit will take 9-12 hours. The secret of climbing Mt Kilimanjaro is to go slowly, enjoy the scenery, stay well hydrated, eat well and sleep well. A regular, consistent and slow pace will ensure proper acclimatization. Remember that knowledge is power. 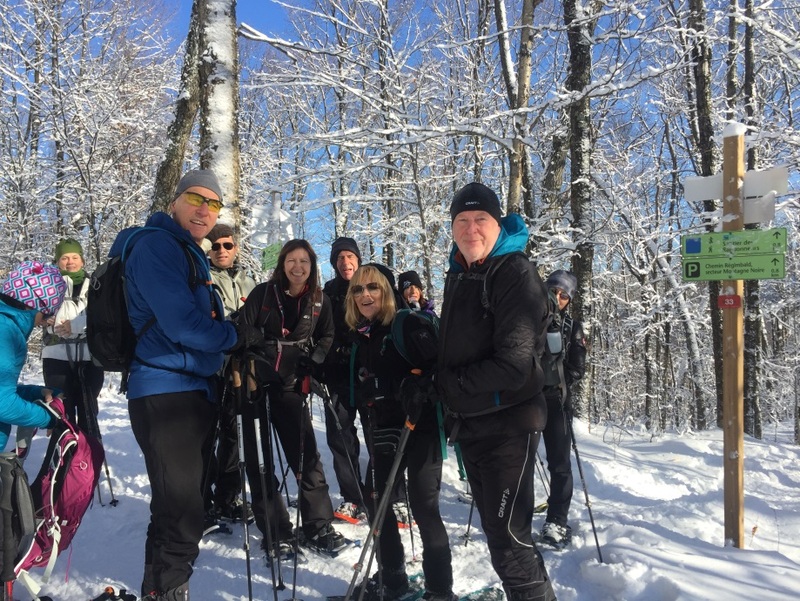 Our team leader will provide you with the knowledge and training you will need to be physically prepared, but more so, to remain calm and be mentally prepared for this breathtaking journey. Tusker Trail is one of the most respected names in the business, with over 4 decades of experience leading adventure travel expeditions throughout Africa. During this period, Tusker has refined the perfect combination of guide expertise, climber safety, rugged gear and adventure cuisine. The focus on climber safety means that 98% of climbers reach the top of the mountain. It also means that you can rest easy, knowing that should anything happen, you are supported and cared for by medically trained guides. Tusker hires and trains its own highly skilled guides. Each year, guides are required to take and pass a physician approved high altitude medical training course. Guides carry oxygen and perform medical checks on every climber twice daily. Tusker uses a higher ratio of guides and porters than other outfitters, ensuring that you are safe and well supported. Tusker uses the best quality equipment. Porters carry most of your gear including all the tents, kitchen equipment, food, fuel, tables and chairs. They will cater to all the group’s needs, providing excellent meals and putting up the tents. Cooks are trained by chefs from the Culinary Institute of America and most special diets can be accommodated (as long as notice is given in advance). Specialty foods are not available in East Africa, so if you are on a strict diet, such as gluten-free, or if you have any food allergies, then you must bring your own specialty foods, which chefs will prepare for you. In that case, be sure to plan carefully and bring enough for every meal. We sit down to our meals in roomy all-weather dining tents, equipped with tables, folding chairs, and gas lamps for warmth and lighting. The guides will also brief you daily on the climb. Q: Is there going to be a training program? A: Yes. 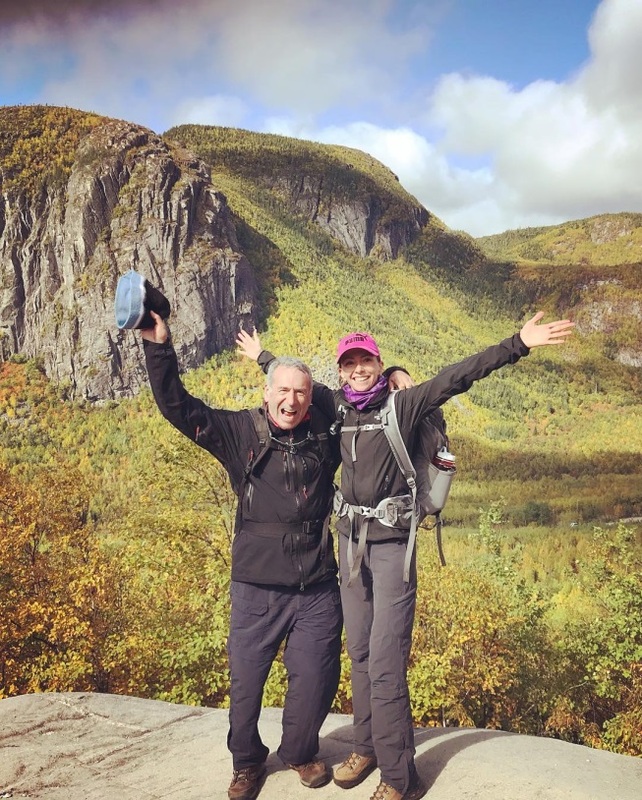 Terry Soucy, the expedition leader, will assist you in getting ready for this adventure. Q: What inoculations or vaccinations will I need? A: Canadians do not need to get yellow fever inoculations, however, anti-malaria pills are highly recommended, as malaria is prevalent in Tanzania. 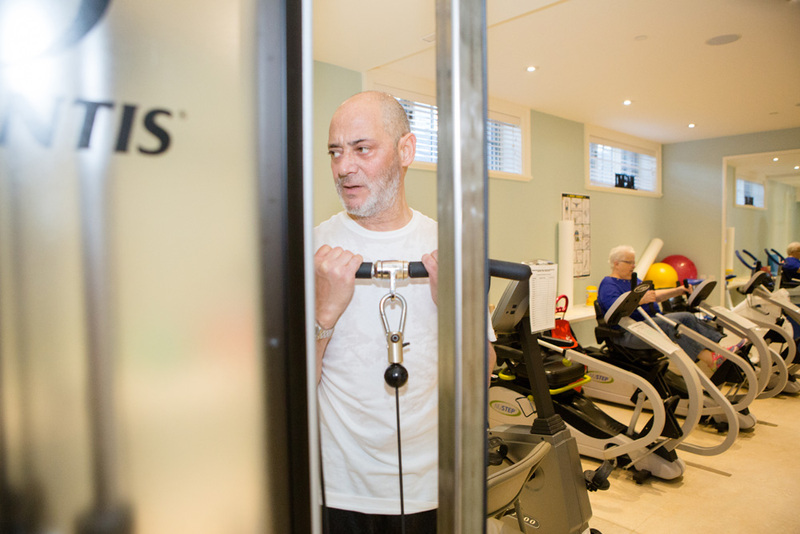 When you sign up for the climb, you will be provided with detailed medical information. A: Our cut-off is 70. There, are, however, exceptions to this rule. Someone in their 70s should be in EXCELLENT physical condition (e.g. top 5% for their age), capable of completing regular intense workouts, especially cardio, AND should have recent (in the last 1-2 years) experience with intensive trekking/camping for 5-6+ days. The climb involves long days of hiking over rugged terrain. Q: What happens if I am not doing well and have to descend early? A: One of your medically trained guides will accompany you down to Moshi and take you to a doctor if needed. The guide then rejoins the climb. Q: Can I climb Kilimanjaro if I have a medical problem? A: Mostly, yes. Eddie Frank, Tusker's owner, has placed a lot of emphasis on medical training, not only of our crew, but also of our US office staff. This is so that we can discuss your condition with you and your doctor intelligently. We also have a Physician Advisor with whom we communicate regularly. When you sign up, you will be required to complete a detailed medical questionnaire. If you have a medical condition, we'll talk to you about it, and if necessary, have a discussion with your doctor to see if he or she feels that you are healthy enough to climb. Q: What is the guide-to-climber ratio? A: Very high! The number of guides will range from 2-6 depending on your group size. We use this many guides in case of an evacuation. 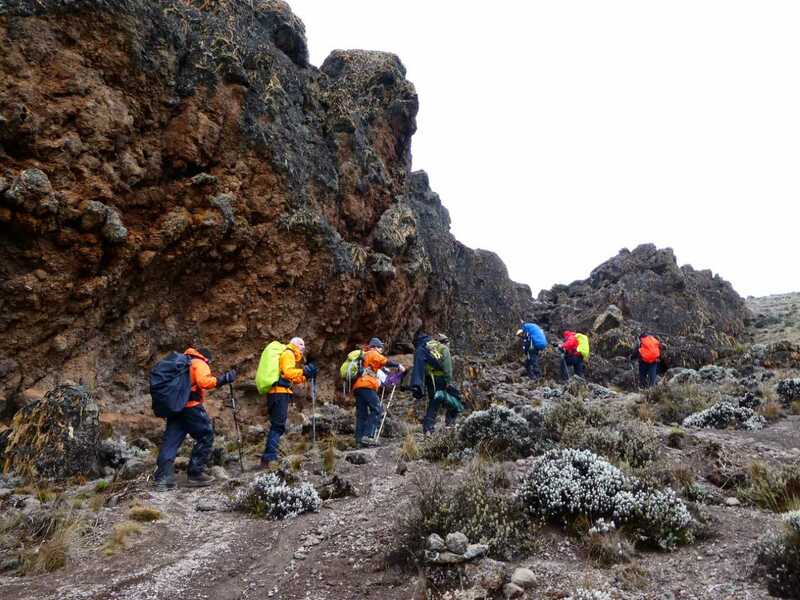 Since all Tusker evacuations are directed and accompanied by one of our medically trained guides, we will always have enough guides on the climb to lead the rest of the group to the summit. Most other companies use only one guide, and send untrained porters for evacuations, a dangerous health risk that Tusker would never take. Q: What's the hotel accommodation like? A: Excellent! You will stay at a delightful family-run hotel in Moshi. The hotel offers excellent hospitality and is located close to the centre of town, the Moshi market, great shopping and good restaurants.